Rack Up More Yardage, Score More Touchdowns, And Win More Games With This Record Breaking Offensive Attack! This high-scoring system was made famous by Don Markham's record-breaking 880 point single-season output in 1994 (62.8 points per game!). Combining power, misdirection, and an effective passing scheme, the Double Wing can produce extraordinary results... even if you lack blue-chip talent. Inside our Double Wing Playbook, you'll discover 10 fun and effective Double Wing plays, designed for teams age 6-16. Blue 27 Double Reverse Fake - a razzle dazzle play that will leave the defense flat footed with no clue where the ball is! I've pulled together in one simple collection the most essential Double Wing plays you need, to help your team build an unstoppable offense. Click the Add to Cart button below to get instant access to the Double Wing Playbook - Risk Free for just $7. YES, I want in! 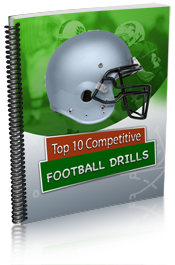 I want access to the Ultimate Double Wing Playbook, plus the extra licenses, the cheat sheets and the top 10 competitive drills. 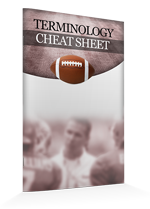 Please give me INSTANT access to this step by step offensive system right now! 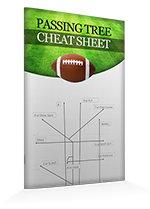 Just download The Double Wing Playbook today and you'll get instant access to a complete offensive system you can start using today! 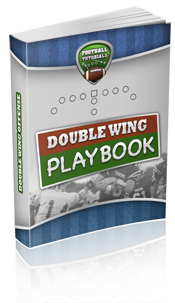 the Double Wing Playbook now for just $7! 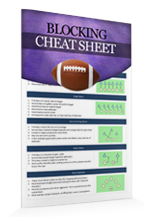 The Double Wing Playbook is primarily designed for youth and high school teams from age 6-16. 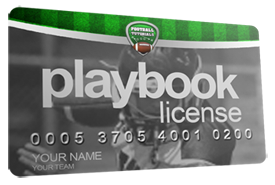 You’ll find a wide range of plays, from basic power runs, to vertical passing plays, play action, option, and even a few gadget plays. 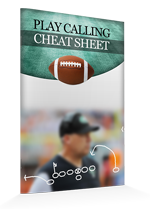 Hurry... Get The Ultimate Double Wing Playbook Now!